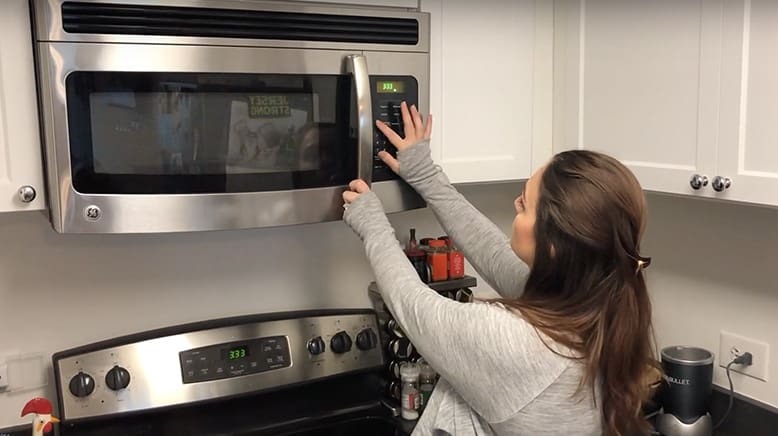 What if your next dinner could be ready in as little as three minutes? And what if you could completely eliminate the stress and hassle that we often associate with dinnertime? If that sounds like exactly what you need in your life, you just might want to check out GoReadyMade. 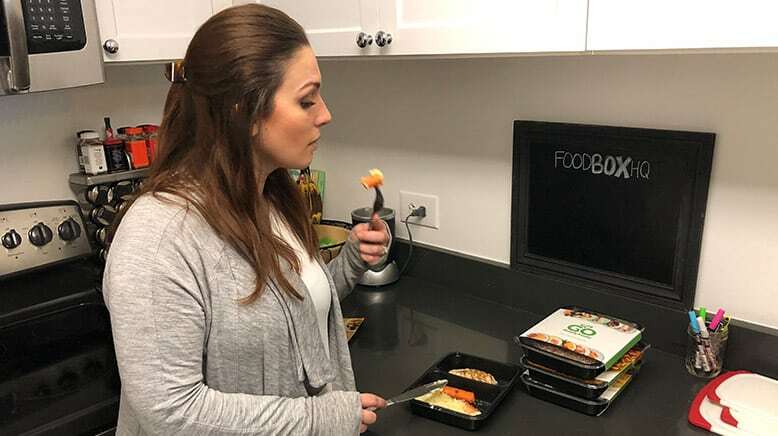 They’re a meal delivery service that provides you with fresh, individually-portioned meals that simply need to be heated in the oven or microwave. To get started and place your first order, you’ll need to begin by picking your ideal plan size. You can choose between receiving four meals per week, six meals, eight meals, or ten meals. It’s totally up to how often you want GoReadyMade to be part of your week. Remember they’re pre-made so you don’t need to worry about cooking and clean-up. They also make it simple to change the amount of meals or skip a week whenever you need to. Once you’ve chosen the amount of meals you’d like, you’ll be taken through the checkout process. You’ll input your shipping and billing information, then it’s onto the fun part… You get to select your meals for the week. After your first order, you’ll be prompted to select your meals from their rotating menu on a weekly basis. Then, you get to sit back while the GoReadyMade chefs do all the hard work. You don’t have to shop, chop, prep, or do much of any clean-up. Instead, the chefs will prepare and individually package your meals. Then, they’ll be delivered to your door, fresh (not frozen) and ready to be heated and enjoyed. Of course, what’s really going to sell you on GoReadyMade’s service is the type of food they offer. This is one of the most crucial elements in choosing the prepared meal delivery service that’s right for you. So, what kind of dishes can you expect to find on their menu? Well, there’s actually quite an impressive selection. Each week, you’ll be presented with over 20 available meal choices. This provides plenty of variety so you’ll likely rarely get bored with what you’re eating. On the menu, you’ll find dinner dishes such as Sweet & Smoky Veggie Chili with Rice, Soy Glazed Steak with Wasabi Mashed Potatoes and Broccoli, Creamy Dill Salmon with Yukon Potatoes and Green Beans, Chicken and Balsamic-Fig Sauce with Sweet Potatoes, Beef Steak with Peppercorn Sauce with Herb Roasted Potatoes, Cheesy Tortellini Bolognese with Hearty Tomato & Beef Sauce, and much more. There are plenty of unique dishes to choose from, but you’ll also find classic favorites like a good ol’ spaghetti. For anyone who is guilty of falling into a food rut, this is sure to help you get out of it! At this time, deliveries can only be made to homes and businesses in select zip codes located on the East Coast and within the Central United States. You can visit their website to see if you’re within the delivery area right now. However, they are working to expand their delivery regions, so you can always check back in the future to see if their service has reached your zip code. You can also choose to be notified via email when delivery reaches your area. You will have to pay shipping with each order, which depends on how many meals you’re receiving. With 10 meals per week, you’ll be charged $9.99 for shipping, $7.99 for eight meals, $5.99 for six meals, and $3.99 for four meals. Upon checking out, you’ll be presented with different delivery days based on your region. Currently, GoReadyMade offers delivery on Tuesday, Wednesday, Thursday, Friday, and Saturday in most areas. You don’t need to be home in order to accept the delivery. UPS or FedEx will leave it for you and it’ll be waiting when you arrive back at home. When you order has shipped, you’ll receive tracking information via email. GoReadyMade is making an effort to be environmentally conscious with the packaging they use for every order. Everything they use is either recyclable or made from recycled products. This includes the cardboard box, the ice packs, and even the meal containers. Plus, your meals are individually-portioned, which cuts down on food waste, extra trash, and clean-up. When you think of pre-made meals, your first thought probably isn’t the best. 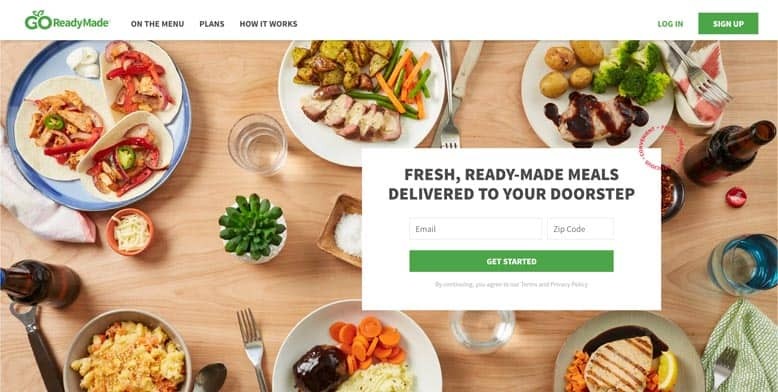 I know that I’m skeptical every time we try a pre-made meal delivery service. However, the meals that GoReadyMade offers are prepared by a culinary team that features award-winning chefs. 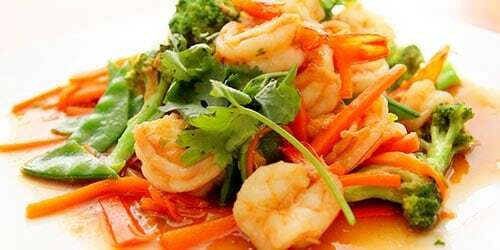 They develop the recipes and prepare the meals in the GoReadyMade kitchen themselves. This ensures that everything is up to a high standard so you can count on super-fresh food. So, you can feel good about having skilled chefs preparing your dinners. However, there are even more steps that are taken to keep your food fresh. The meals are prepared, chilled, packed, and shipped each day. This means you’re not getting dinners that have been sitting around for a while. Upon inspecting our GoReadyMade box when we first received it, we found that everything was fresh and cold — ready to go in the fridge. Insulated liners and ice packs will keep your meals cool while they’re making their way from GoReadyMade’s headquarters to your home. You don’t have to worry about anything going bad before it arrives. However, if you’re someone who doesn’t get home until late and your boxes stay outside for longer than 12 hours, you may want to consider having your boxes delivered right to your work. That way you can put your food away in the work fridge and take it home at the end of the day without worrying about the food going bad. Also, it’s important to note that each meal has a shelf life printed right on its packaging. This shelf life will vary between five to eight days, so you want to make sure you enjoy your meals soon after their arrival. It’s recommended to eat them fresh, as opposed to freezing them. All of the food you see us review in the video is from the fridge, not frozen. Since these meals are already prepared, they simply need to be heated. That means there’s no need to spend ages chopping and prepping ingredients. Nor will you spend an hour standing at the stovetop! This is one of the biggest conveniences of GoReadyMade — zero prep time. To prepare a GoReadymade meal, just pop it into the microwave and follow the heating instructions. For most meals, they can be ready within three minutes. If the microwave isn’t really your thing, you can also heat the meals in the oven. The plastic trays that GoReadyMade uses can be placed directly into your oven for heating. It’s recommended to keep the temperature at 375F or below for the best results though. You will find detailed instructions for cooking in both the microwave and the oven with each meal. As we all know, the taste of any dish really starts with the ingredients used. And luckily, you can find some high-quality ingredients in every GoReadyMade meal that you order. For our initial taste test we cooked up the Butter Basted Chicken with Thyme Carrots & Parmesan Mashed Potatoes. Surprisingly, the chicken had a ton of flavor and was still moist. This is usually a rarity when it comes to pre-made meals. 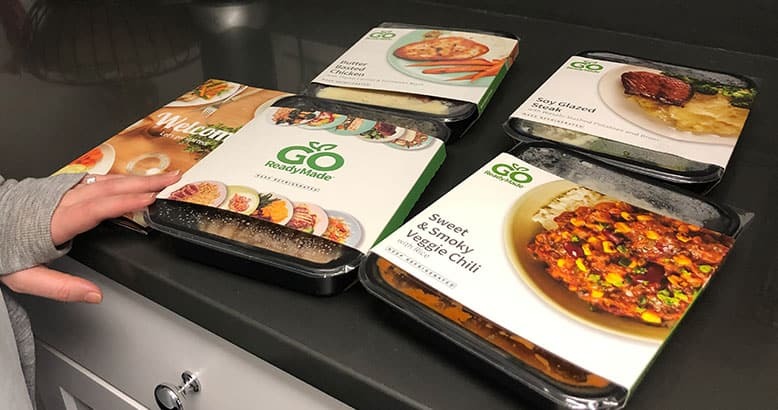 Think about all those bland frozen dinners — GoReadyMade is not like that at all. The carrots in the meal were also cooked and seasoned perfectly. This can be tough because cooked carrots can either come out too hard to eat or too mushy. Lastly, the parmesan mashed potatoes were delicious. But, then again, who doesn’t love cheesy mashed potatoes 😁? Chicken with Seasonal Stuffing: Perfect for someone who wants a classic meal that’s packed with flavor. This is one of my personal favorites! Spicy Louisiana Gumbo with Andouille Sausage: Southern food is vastly under appreciated and this dish does it justice. If you love spicy and flavor, this is the dish for you. It’s the perfect way to warm up on a cold day. Butter-Basted Chicken with Thyme Carrots and Parmesan Mash: Another classic dish done right. Again, the chicken is juicy and tender. The thyme carrots take this meal to the next delicious (and nutritious) level. White Bean & Coconut Curry with Mango Chutney: Looking to explore new flavors? This delicious curry is the perfect dish to try. The weekly price for this subscription service really depends on how many meals you’d like to receive. And of course, like most meal delivery plans, you’re getting a better deal the more meals you order. Your best value is going to be with the 10 meals per week plan. The price comes to $7.99 per meal, which is actually less per-meal than the “big guys” like Blue Apron. With eight meals per week, you’ll be paying $8.99 per meal. Six meals per week costs $9.99 per meal. And finally, four meals per week costs $11.99 per meal. And of course, there’s the shipping charges as well. You’ll want to make sure you factor that into the final cost, especially if you try to stay on a budget with your meal planning. Either way, you’ll likely still be saving money (and time) when compared to planning meals and shopping for groceries yourself. This also helps to cut down on food waste, so no more expired groceries you have to throw out. As with most meal delivery services, you’re never locked into your subscription. If there’s ever a week where you want to take a break, you can absolutely do so. GoReadyMade will send a reminder email each week to choose your meals. But if you decide you’d like to skip it, you can do so online through your account. You can also cancel at any time you want. They offer a surprising amount of plans. You can order 4, 6, 8, or 10 meals per week. Since they’re pre-made, they’re perfect for people living alone. They aren’t frozen. 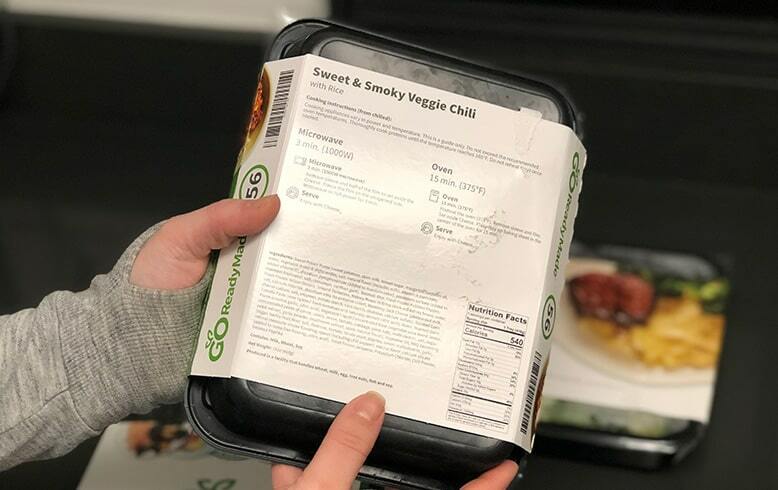 Some pre-made meal delivery services only offer frozen meals delivered and sometimes they’re loaded with preservatives and sodium to keep them lasting as long as possible. Have a lot of nutritious meal options. I wouldn’t classify GoReadyMade as a 100% healthy meal delivery service but they do have a lot of healthy options. For example, their Cherry Balsamic Pork Chop with Roasted Potatoes and Broccoli is only 450 calories, not loaded in butter, and the only real carbs are from the potatoes. Pre-made meals save you time. There’s no doubt about it, this service will save you the time and hassle of going grocery shopping, cooking, meal prepping, and a lot of clean-up. The taste was great. Even though you’re getting pre-made meals, you’re not sacrificing taste. Not right for you if you actually enjoy cooking. If cooking is a hobby of yours, don’t go with a pre-made meal delivery service like GoReadyMade. Not for people sticking to a specific diet. If you’re looking to lose weight or stick to a specific diet (e.g. gluten-free) this might not be the best option for you. They currently only deliver to the East Coast and Central US. If you live on the West Coast, you’re out of luck. Shipping is not included. There is a flat shipping fee based on the plan you get. 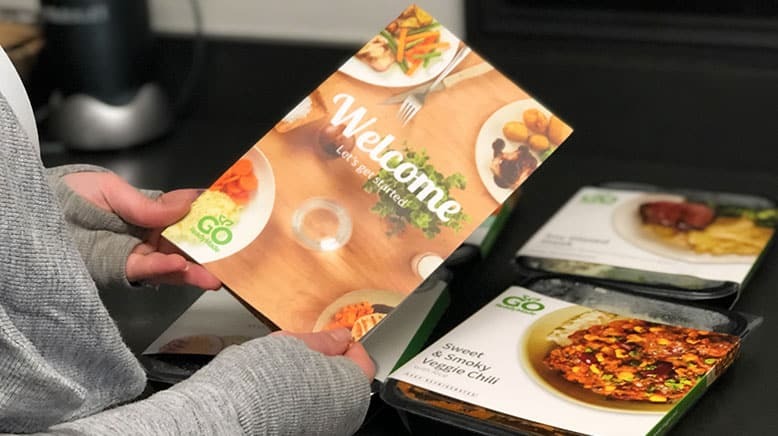 Overall, GoReadyMade is a prepared meal delivery service that’s worth considering if you’re looking for a way to make your weeknight dinners incredibly easy, with virtually zero clean-up. You don’t have to worry about what kind of additives, preservatives, etc are lurking inside because there are none. Their team of chefs focuses on using high-quality, locally-sourced ingredients that are rich in flavor. The one downside is that you do have to pay shipping on every plan. While most meal delivery services also charge shipping, they do so only on the smallest plans they have. That being said, their meals are really delicious. It would be incredibly almost impossible to distinguish GoReadyMade meals from a home cooked meals. Yes, they’re that good. I would recommend GoReadyMade to anyone looking for a quicker way to get healthy and tasty meals. Since they’re pre-made meals, they would be the perfect to take with you to the office for lunch. In fact, we ended up taking some of our meals to the office to eat. At the end of the day, it really all comes down to convenience. You don’t have to spend hours meal planning and grocery shopping each week. Nor do you need to spend ages in the kitchen to prep your ingredients and cook a dish. Instead, you can come home after a long day, pop your meal in the microwave or oven, and within a few minutes… You can relax with a great dish of food.